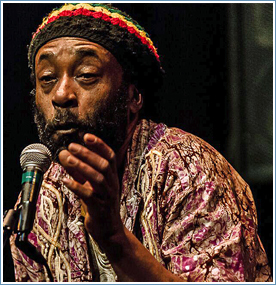 Internationally respected dub poet Klyde Broox has decades of performance experience in North America, Europe and the Caribbean. A consummate stage artist, he blends speech, song, dance and mime into a powerful package that is inspirational, entertaining and intellectually provocative. He lives in Hamilton.